Yes, I know... there's a lot going on on this page... but I'm seriously in LOVE with it... and have I told you how much I LOVE the Silhouette gold foil and Paislee Press' cut files... SWOON!!! 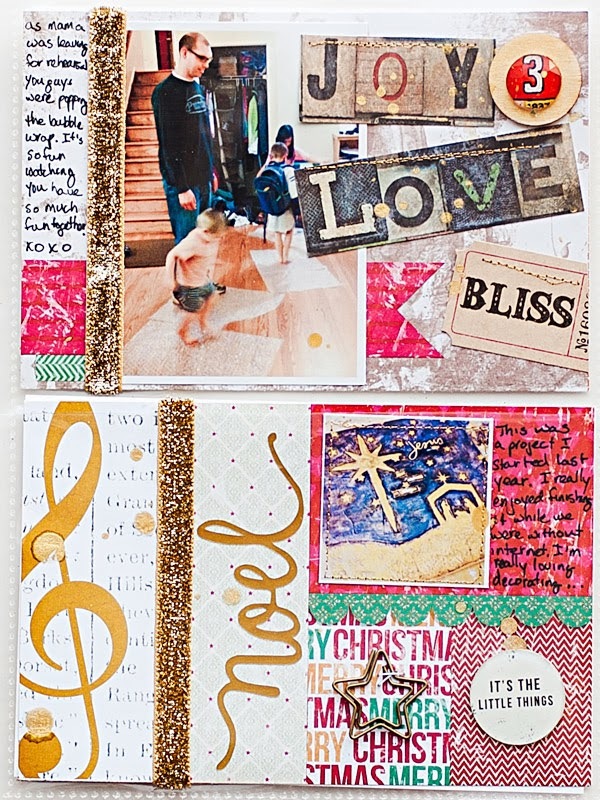 Not much to say about this page other than I used templates and yummy papers to create the base... and then embellished where I thought there needed to be some embellishing... I cut and added a bit of one of Just Jaimee's cards because I had worship rehearsal that night and I loved that gold treble clef, YUM!!! Splatter with gold mist and stitch with gold thread and I'm a happy happy girl!! !